To get started, you need to load the popupmodal.css and popupmodal-min.js in your project. And then attach your desire element with a click event listener. // The content to be shown in the popup modal. DOM element is acceptable too. 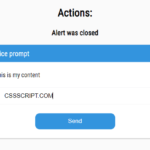 Popup modal will not be shown if there is no content. // To enable 'enter' and 'esc' key on 'Ok' and 'Cancel' button respectively. 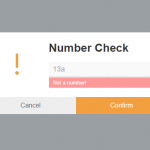 // Configure the maximum number of character allowed. // A placeholder for text box. 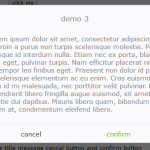 // Configure the popup modal default button's text. // Note : Default buttons for alert is 'ok'. 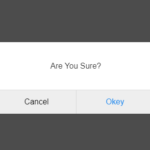 For confirm and prompt is 'ok' and 'cancel'. 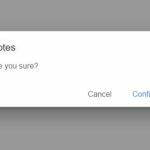 // Add extra buttons to the popup modal. // Note : Do checkout the next section on how to implement the button's callback function. 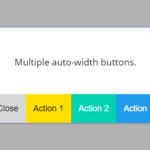 // Popup modal's button alignment, either 'left' or 'right'. // The popup modal size. There are 'small', 'medium' and 'large'. Numbers are allowed as well, but without the 'px'. eg : 200. // The overlay background color of the popup modal. 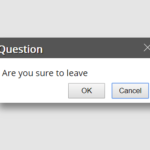 // The effect when the popup modal is shown. Slide from 'top', 'bottom', 'left' or 'right'. 'none' for no effect.